You often get what you pay for- and Microsoft is now so desperate to gain users and traffic for it’s Microsoft live search- that they are willing to host your site for free as long as you get hooked on their advertising keywords business. Microsoft Office Live Basics is the easy way to get started on the Web. If you have always wanted your own Web site, Microsoft Office Live Small Business has just made it easier â€” much easier. Neither site had RSS, or the search engine friendly features that come in the true Open Source solution we recommend that are built into Word Press. When you elect to go with a closed loop system like Microsoft office live’s free hosting- you will be forever locked into whatever feature set Microsoft chooses to support. There are inexpensive hosting packages out there, and there is also www.wordpress.com where anyone can build a highly effective WordPress site for free- but in the end, you still get what you pay for. We don’t demand you host with us after taking our seminar- although we do believe our $159 annual hosting fee with URL registration is reasonable, considering we provide support- and give you true Open Source solutions to support maximum flexibility and adherence to W3C standards. 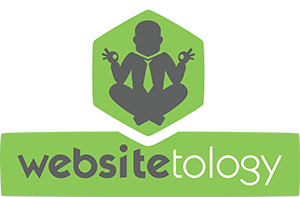 If you want to see sample sites from our websitetologists, take a look here: Websitetologists. Compare the amount of content on their sites to those of the sample Microsoft Live sites- and remember- content drives traffic for smart people. Paid ads drive traffic for, well, stupid people. I’ve been working onÂ a managing a site for a client. Actually, a whole bunch of sites. And, as luck would have it, she uses GoDaddy to manage her domain registrations. Well, when some of her sites expired, GoDaddy put up their “Expired holding page”- no problem, but when she renewed all the domains – they didn’t revert to her nameservers- it still showed GoDaddy’s holding page. Bad. So, I had to go into GoDaddy’s admin pages from hell. Not only is the interface worse than an IRS tax form- the site is slower than an 8086 processor in a core duo world. I’ve used Bulk register for years- but they just got bought by enom, even so, on their worst day they are a pleasure to use compared to GoDaddy. Which is really too bad- because back in the early days of competitive registrars- GoDaddy was one of the better ones. Now, they are right up there with Network Solutions as an avoid at all costs domain registrar. The above link is to a story- with a recording of what the call to cancel AOL will be like. And for that, we’re deeply sorry. AOL has some nice features for protecting children from harmful sites- but it also can allow them to be sucked into private chat rooms where all kinds of things can go wrong. While AOL is a good Internet for dummies- the Internet has gotten a lot easier lately, and a lot cheaper. For about half of what you pay for AOL you can have a high-speed connection from a telco or cable company- if you shop a bit. The behavior of the “Customer Service Rep” attempting to stall the cancelation is a perfect example of how not to treat your customers. And as an FYI- you can get connections to the exact same network through AOL’s Compuserve or Netscape brands for considerably less money than what you pay for AOL.